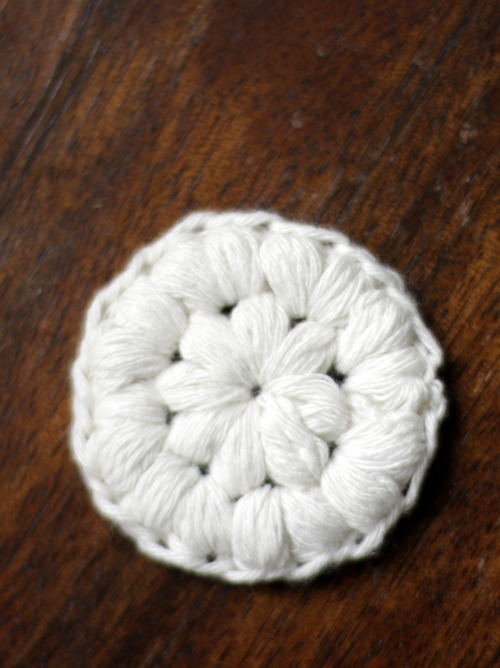 Hello and welcome to What You Sow, here is the pattern for the Crochet Cotton Pads I originally shared on the Moral Fibres blog...feel free to share the pattern, make them, sell them... spread the word and get as many people using these as possible. 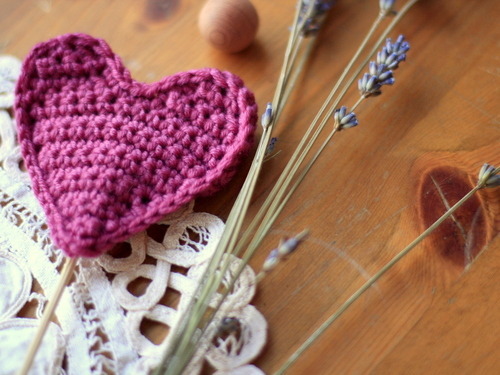 If you crocheting isn't your thing, we also sell them in our shop and on Etsy. Let's reduce the amount of cotton pads we send to landfill! 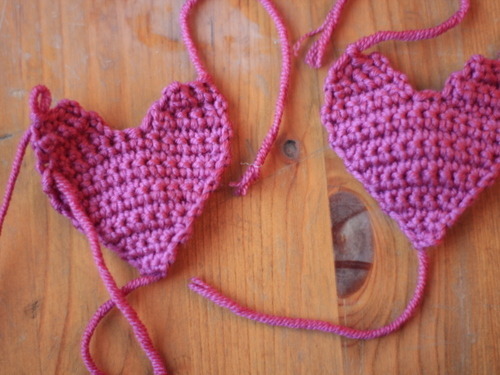 You will need a size 4 crochet hook and some cotton yarn of your chioce. My favourites are Sirdar Simply Recycled and Rowan Purelife which both come in some lovely colours. You need about 8m of yarn. Ch4, then join with a sl st to the first stitch. Row 1: Ch 1, *puff st (yo, insert hook into stitch, pull strand through, do the same 4 more times then pull your yarn through all 11 loops on the hook, close the puff with a chain), ch 1*, repeat * 7 more times then join with a sl st to the top of the first puff stitch and move with a sl st into the gap between the first & second puff. 8 puff st.
Row 2: Ch 1, 2 puff st into first gap, then 2 puff st into each gap all the way round. Note that you don’t chain betweenthe stitches like you did on the first row. 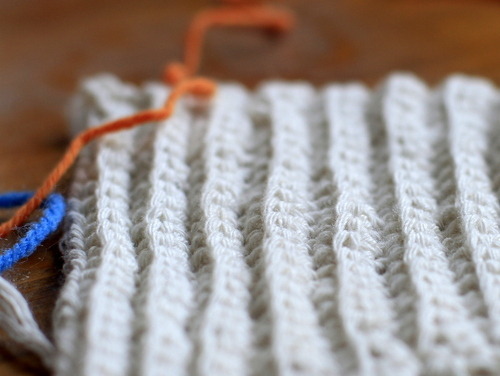 Once you have 16 puff st, join with a sl st to the first puff stitch. 16 puff st.
Sew in the ends and there you have your finished cotton pad. Make a bundle of them and store them in your bathroom ready to use at bed time! 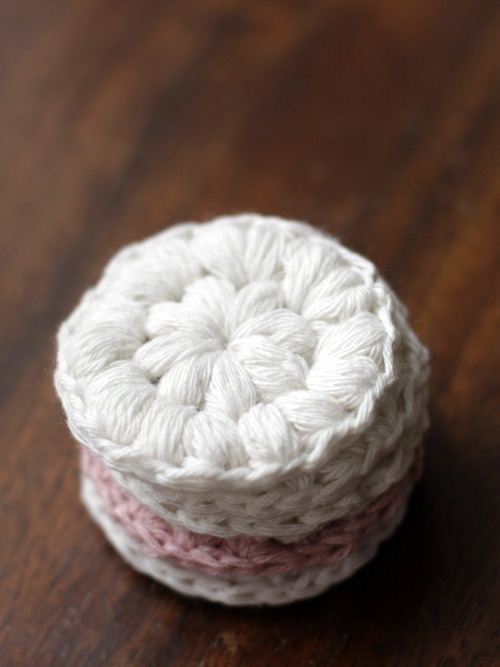 If you don’t want to crochet them yourself, you can buy a pack of 5 Makeup remover pads from the What You Sow shop or if you live outside of the UK, you can find them on Etsy too. If you like this idea, please feel free to share the pattern and the images by reblogging or using on your own blog. In return, I’d just ask for a link back to this site somewhere in your post! If you’d like to stay up-to-date on the latest creative ideas to come from What You Sow, sign up for our newsletter here or follow us on Instagram at whatyousow. I love crocheting things for around the house. If I could cover all my upholstery in merino wool, I would, but luckily I don’t have the time to get too carried away. 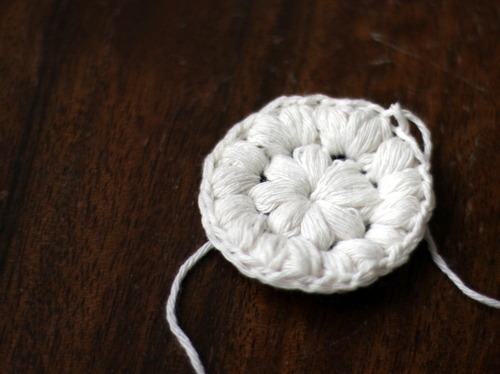 Instead, I satisfy my crochetlust by making small things. Hearts and flowers to hang all over the place and more recently, I’ve been obsessively making blankets. Not big bedspreads. Just little blankets, for knees. 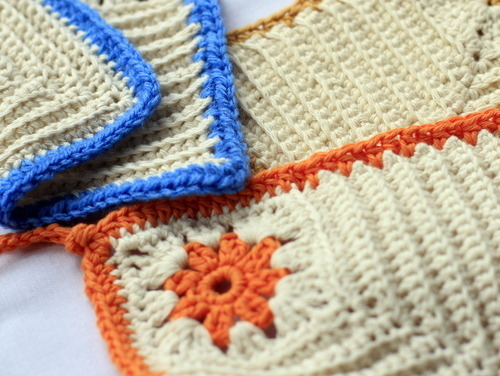 These pot holders are a quick project, look fab and make an amazing gift as they are so useful. You can hold hot pots with them, use them to prevent hot dishes from burning the table and add a rustic, home-made look to the kitchen. They take under 2 hours to make and once you have made one you will want to make lots more. 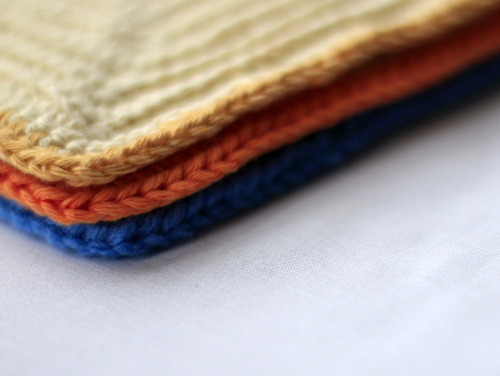 You will need 2 colours of cotton yarn and a 3.5 or 4 mm hook. The craftsters at the Yarn & Craft shop are offering 10% off all cotton yarn this week so check out their very lovely range for colour ideas. Start by making the flower in your bright colour. Ch 6, join with ss to first ch to make a loop. Row 2: Ch 2, 1 dc into same stitch, *ch1, 2 dc into one stitch* 7 times, ch 1 then join with ss to first chain. 8 groups of 2 dc. 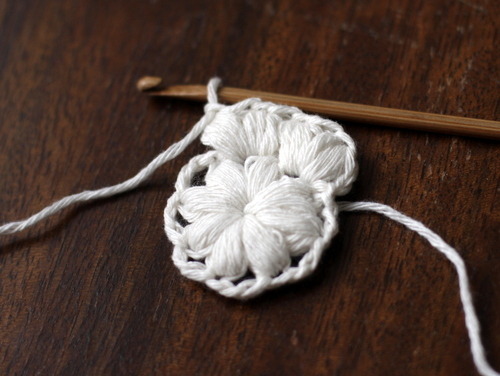 Row 3: Make into a granny square by stitching into the gaps between each group of 2 petals: (1st gap)Ch 2, 2dc into first gap, ch1, (2nd gap) 3dc into next gap, ch 1, (3rd gap) 3 dc into next gap, ch 2 (corner), 3 dc into same gap, ch 1, (4th gap) 3dc, ch 1, (5th gap) 3 dc, ch 2 (corner), 3 dc into same gap, ch 1, (6th gap) 3dc, ch 1, (7th gap) 3 dc, ch 2 (corner), 3dc into same gap, ch 1, (8th gap) 3 dc, ch 1 (1st gap)3 dc into the gap you started with, ch 2 then join to top of first cluster of three. This means that you finish in the corner. 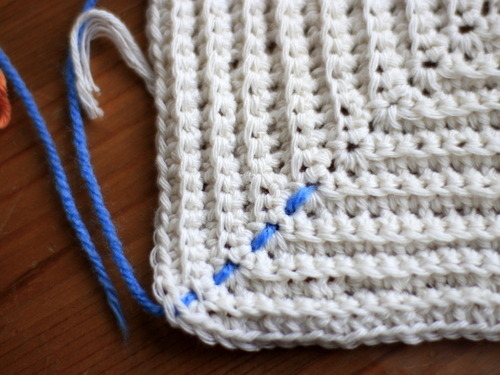 Row 4: Ch 1, then sc all the way around, putting 3 sc into each of the corner stitches. Now to start just stitching 2 sides to build up the rest of the holder. Row 5: In the same anti clockwise direction, stitch into the back of each of the first side of stitches (12 stitches), then 3sc into the corner stitch to turn the right angle, then 12 sc into the back of the next side of stitches. Row 6: Turn piece over, ch 1, then stitch into the back 13 stitches until you reach the corner, 3 sc into corner stitch then another 13 stitches to the end. 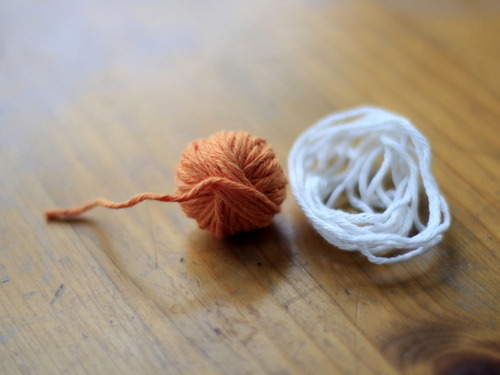 You will probably need a stitch marker or piece of contrasting yarn to tell you which is the middle stitch. It’s harder to make out than it sounds, especially if you’re good at losing count like me. Rows 7 - 22, carry on until your piece measures around 15 cm. 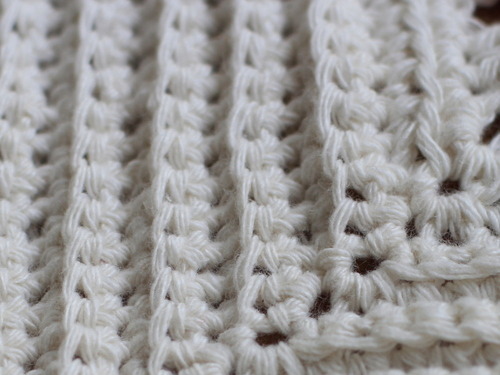 Crocheting into the back of each stitch gives you the lovely rib effect. And stitching 3 times into the corner stitch not only increases your piece, but gives you the wonderful right angle diagonally through your piece. 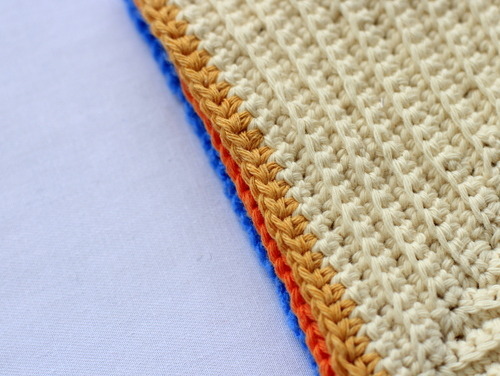 Final row: Once you’re done with the white, switch back to your colour and hdc all the way around the edge. When you reach the corner with the flower, stop and chain 30 then carry on. 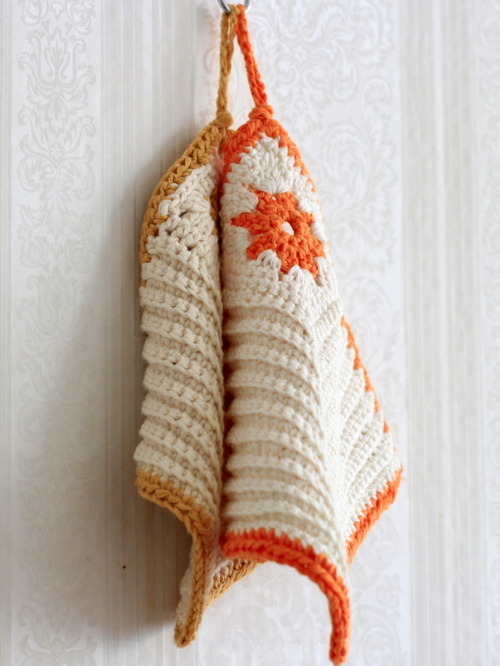 This will give you a loop to hang the pot holder by. Tie a little knot to neaten it up. Once you have stitched all the way around, fasten off and sew in your ends. Then make some more in your favourite colours and give them to all your friends and your friends’ mums! 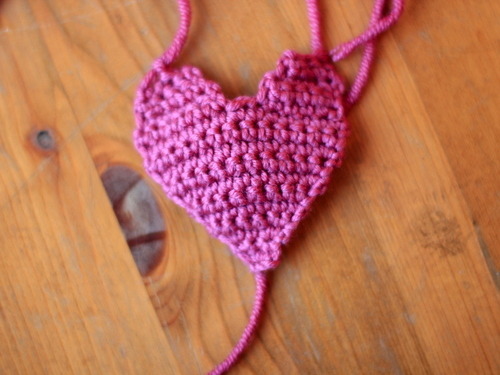 I’ve had the crochet hooks out and have developed a DIY crochet heart that can be used in a number of ways around the house. Insert a wooden skewer into the back and use as a plant decoration or an addition to a bouquet. 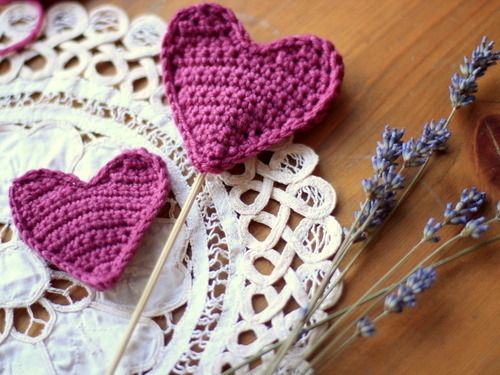 The hearts take about half an hour each to make and can be used as lavender sachets, as sandalwood wardrobe hangers or as a decoration for your plant pots. 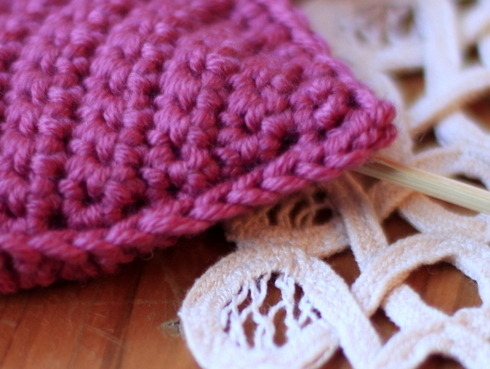 Use a small hook and DK yarn of your choice. A 2.5 mm hook measures approx 6.5 cm height and width, and a 3.5 mm hook will measure approx 8cm. At the end of each row you will turn the piece. make another one of these. When they're both done, sew in the threads and begin to sc the two pieces together around the edges, filling as you go with you stuffing, or lavender or sandalwood balls. Once you have stitched all the way around, you're almost done! Add a chain to hang the heart in your wardrobe or attach to a wooden skewer and insert into your plant pot. A very pretty gift for a special friend.